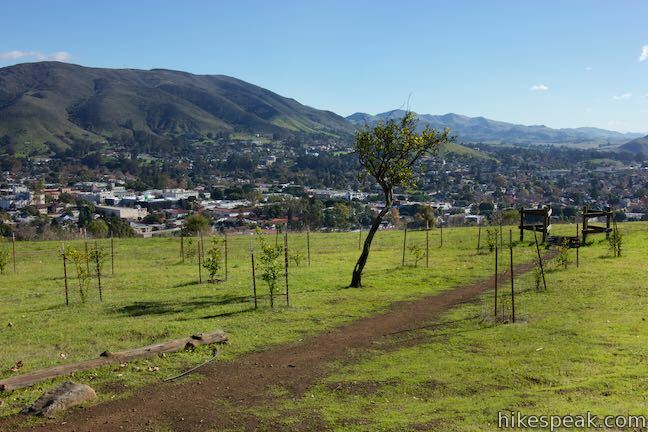 This 2.2-mile loop explores a 120-acre open space between Cerro San Luis and downtown San Luis Obispo. 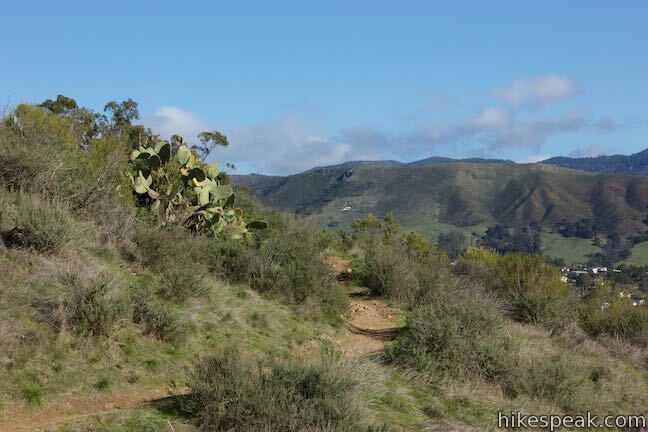 With just three hundred feet of elevation gain, this is a quick hike on its own, or an easy extension to the steeper trek up Cerro San Luis. 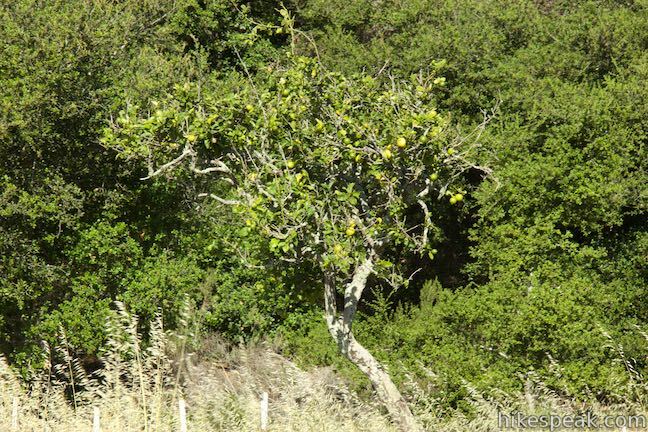 The abandoned lemon grove that gives the trail its name is becoming more of a destination thanks to the planting of new trees. 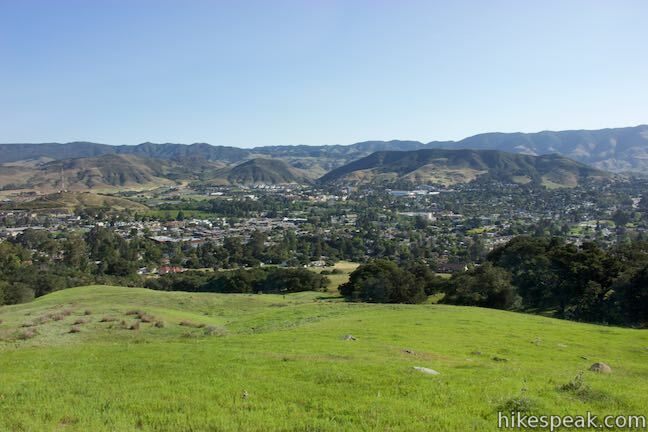 The open skies and views over the city of San Luis Obispo are the real reward. 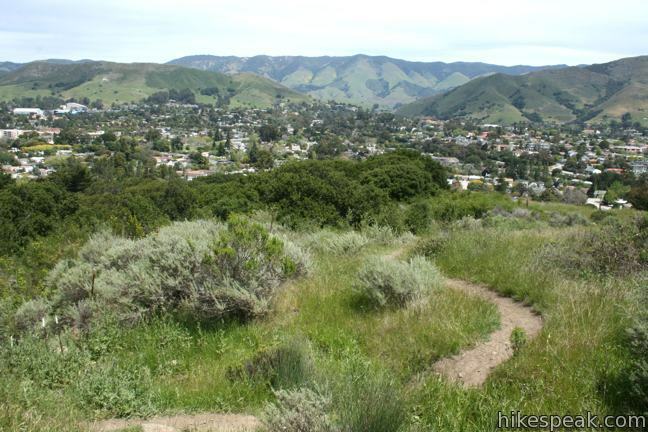 Begin hiking north from the trailhead at the end of Marsh Street. 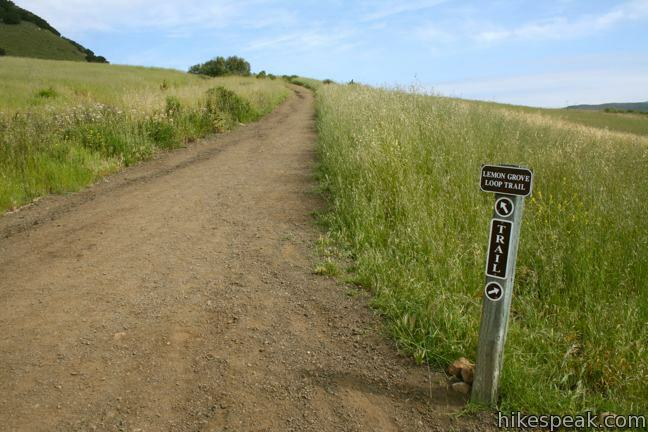 After a tenth of a mile, a smaller trail breaks off to the right. 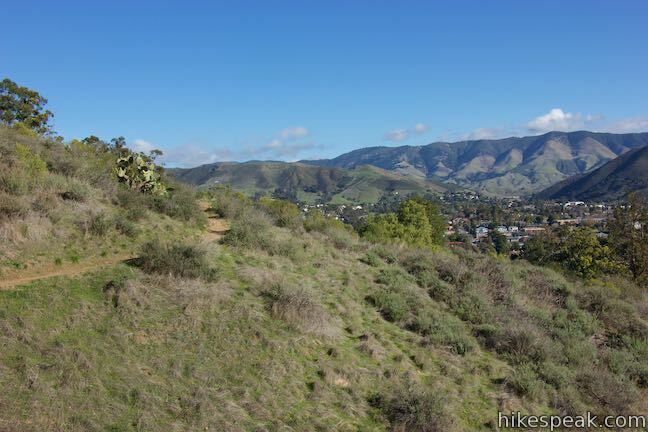 This is the lower half of Lemon Grove Loop Trail. As loops go, you could turn here, or continue straight up the wider main trail. 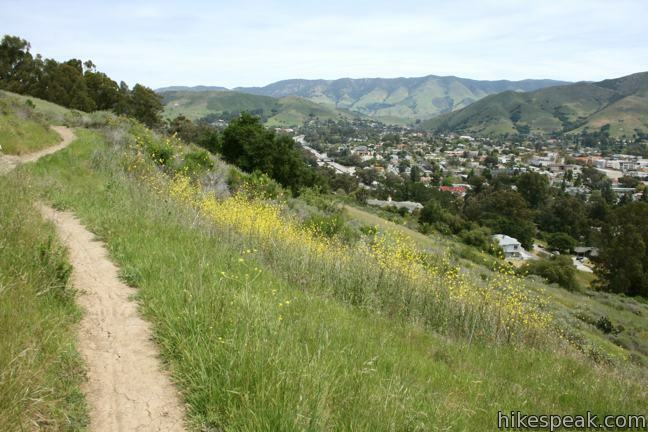 The city recommends staying to the left to hike the loop in a clockwise direction. 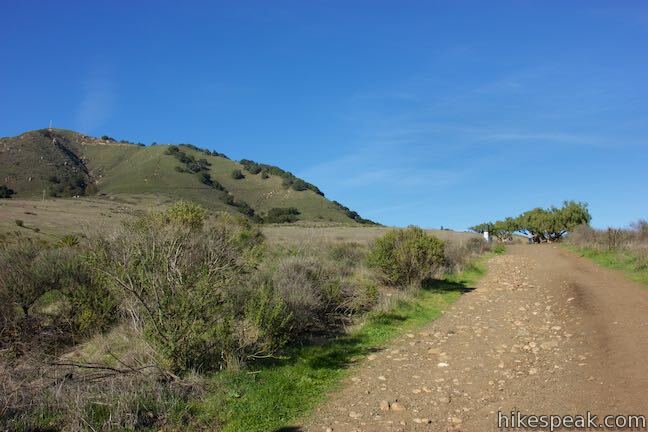 Stay to the left to ascend farther up the main trail toward Cerro San Luis. Pass a bench nestled between patches of prickly pear cacti. Half a mile from the start, come to another junction. This time turn right as the trail to the summit veers to the left. Continue to the right through a junction with another trail heading toward Cerro San Luis. Progress north along the east side of the mountain on a slope dominated by black sage. 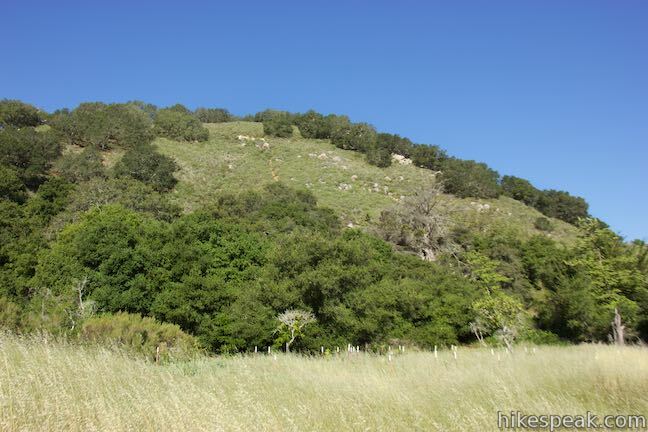 Just before reaching a strip of eucalyptus trees, turn left and look up at the white “M” on the side of the mountain. The “M” represents Mission Prep School, which can be seen next to the historic mission in the city below. 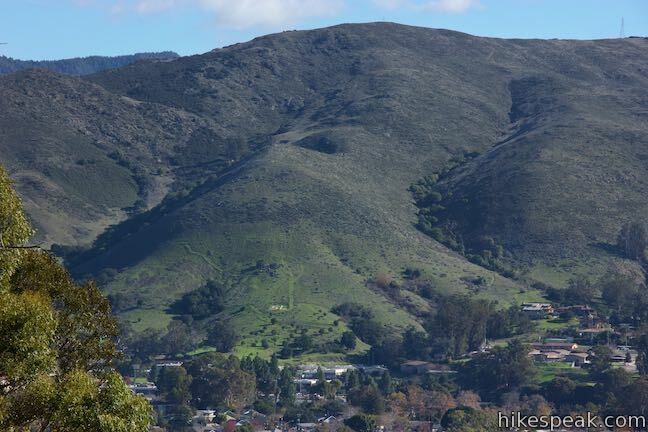 The tall white letter can be reached on “M” Trail, a trail farther up Cerro San Luis that was once just a spur, but now connects to Lemon Grove Loop Trail for another hiking option, Lemon Grove & “M” Trails Loop. 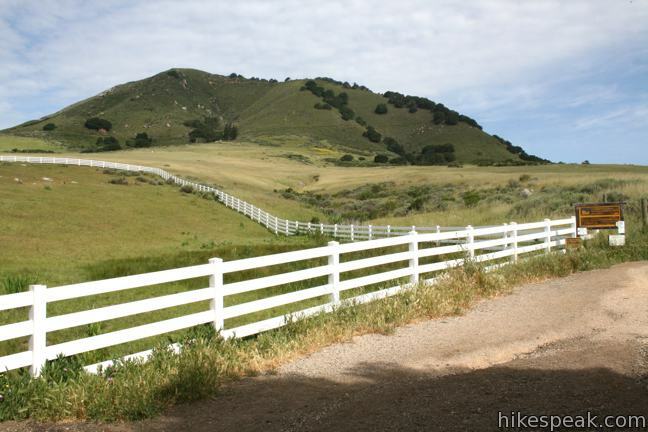 Take a left passing through a gate within the eucalyptus grove to maintain your elevation around the peak. After a short distance, pass through a second gate and continue around the mountain. Just before a third gate, a turnoff on the left leads you up to a grove where lemons grew a century ago. 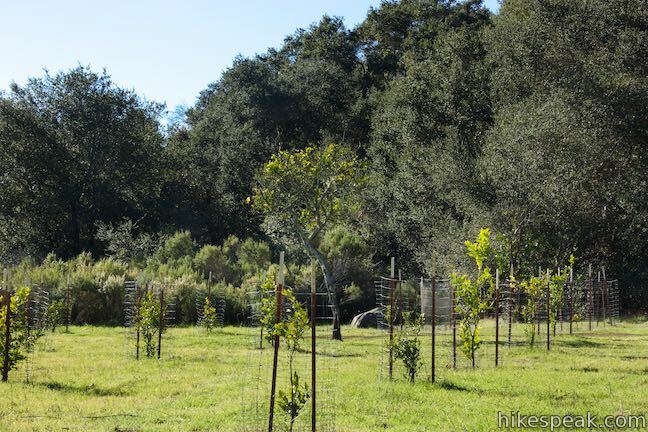 New lemon trees are bringing life back to the grove. 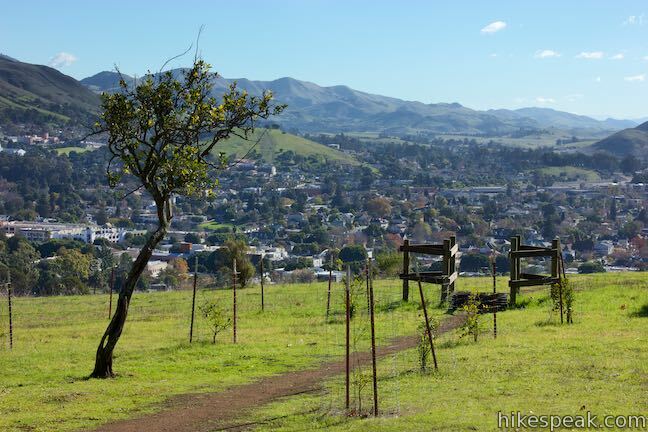 have a seat on a bench and look out over San Luis Obispo and Edna Valley. 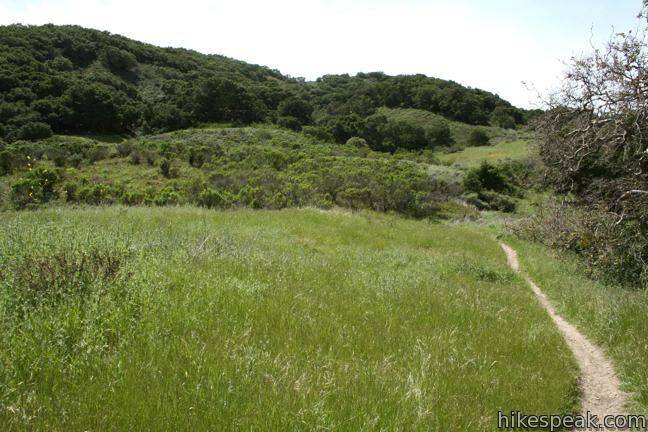 The “M” Trail enters the oak forest behind the small grove. 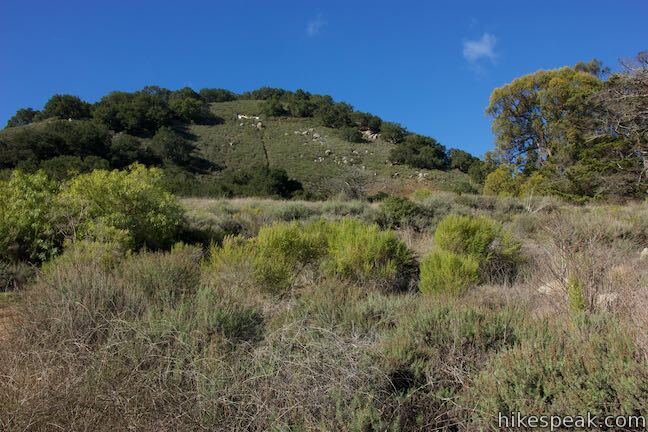 Return to Lemon Grove Loop Trail and continue heading north (avoiding the wide trail, Carriage Road, which descends from the Lemon Grove toward the lower side of the loop, offering a potential shortcut. 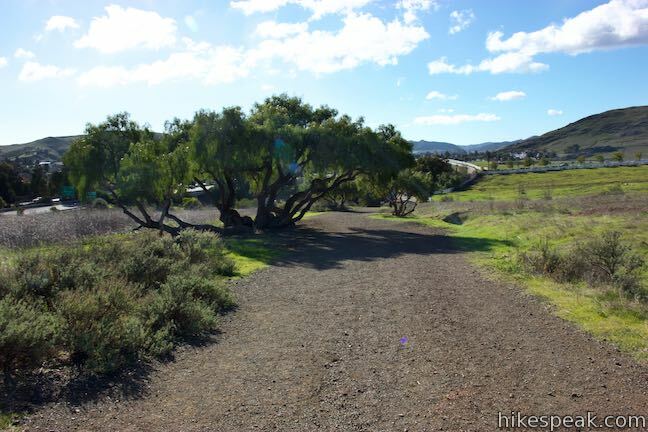 In front of the gate at the north end of the open space, follow the trail to the right to circle back toward the eucalyptus grove. 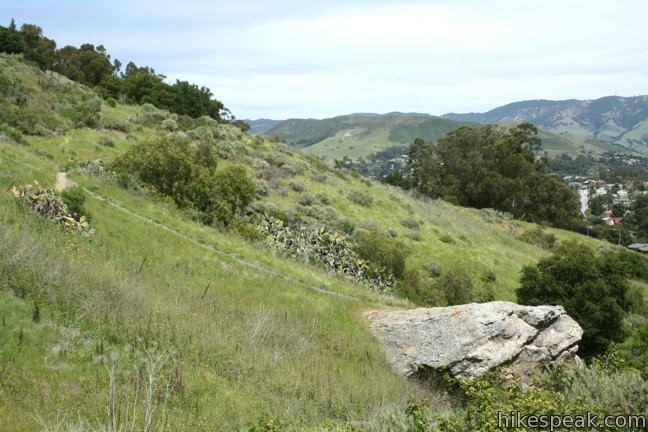 Continue on this track as it progresses back to the trailhead just above the houses and apartments bordering the trail. 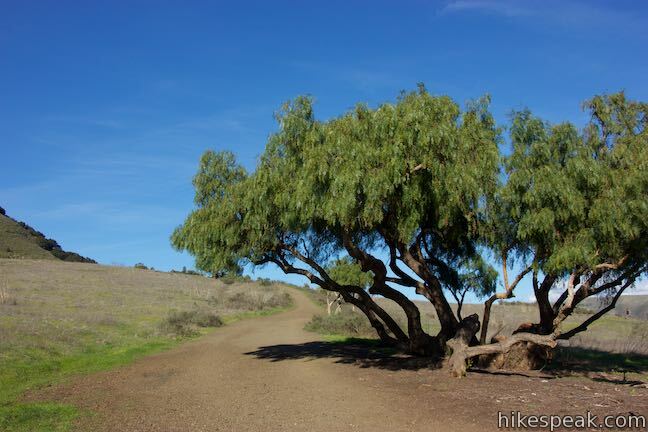 Lemon Grove Loop Trail passes over creases and draws in the terrain, crossing through grasses, sagebrush, and outcroppings with prickly pear cacti. 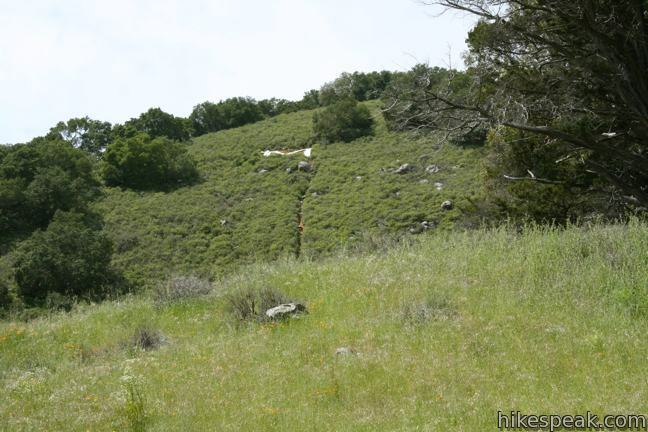 At the end of the loop, bear left and hike the final tenth of a mile back to the trailhead. 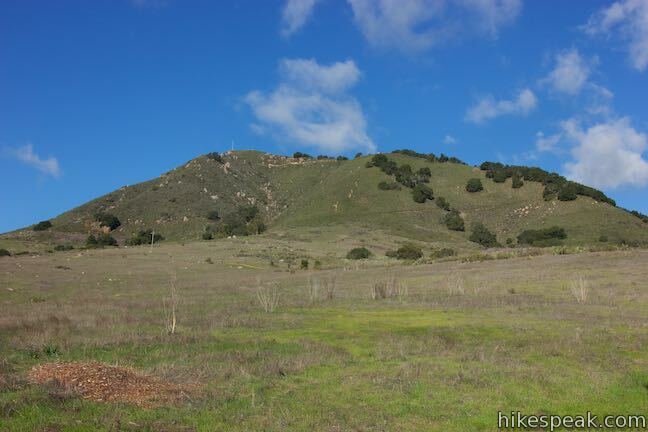 To extend this hike, pass through the gate at the north end of Maino Open Space to get a nice view of Bishop Peak from a ranching pasture north of Cerro San Luis. 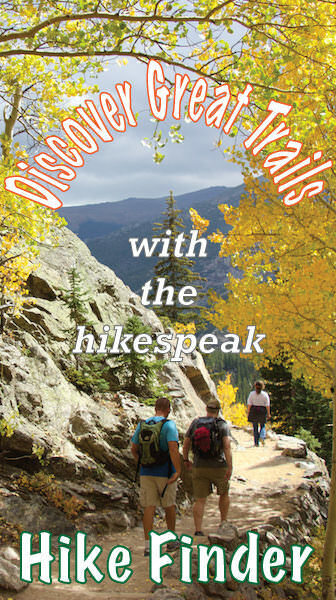 Make the ascent on Cerro San Luis for an even grander hike. Dogs are welcome. 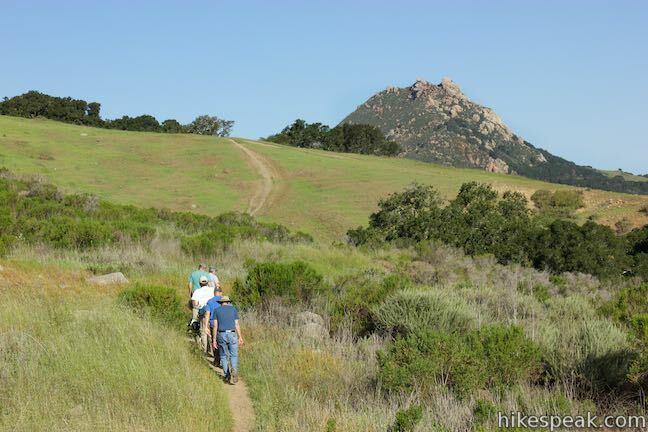 Bikes are permitted on the upper half of Lemon Grove Loop Trail, forming a loop with the “M” Trail. 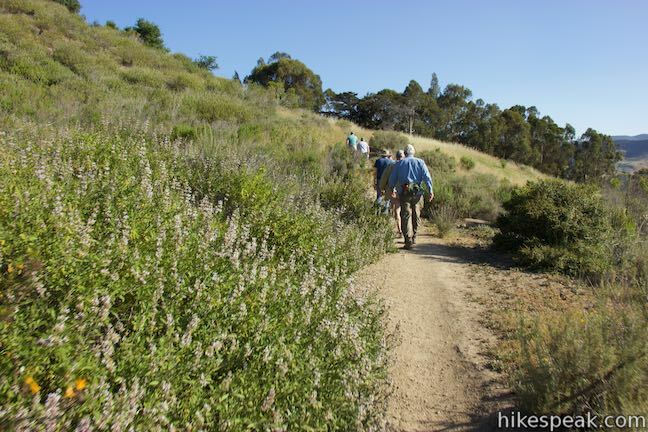 No fee or permit is required to hike Lemon Grove Loop Trail, so get out and enjoy! 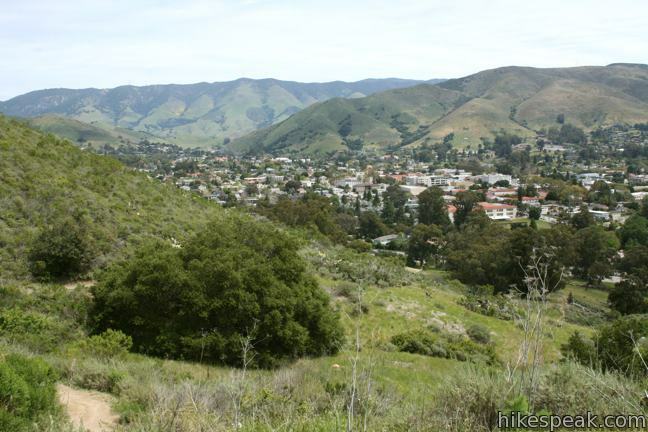 To get to the trailhead: From downtown San Luis Obispo, take Higuera Street southeast to Marsh Street and turn right. Pass beneath Highway 101, and turn right on Fernandez Lane (the only road on the right before Marsh Street turns onto the 101 South). Turn right into the dirt parking area. The trail begins at the end of the lot. 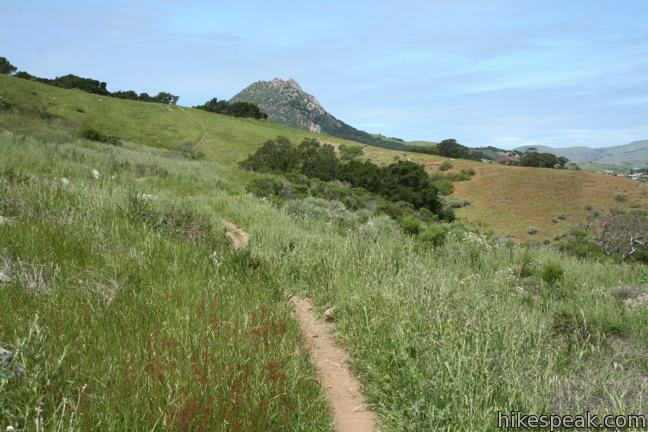 You may also view a regional map of surrounding Central Coast trails and campgrounds. These photos were taken in April of 2010, 2011, and 2015, and December of 2018. Click to enlarge. 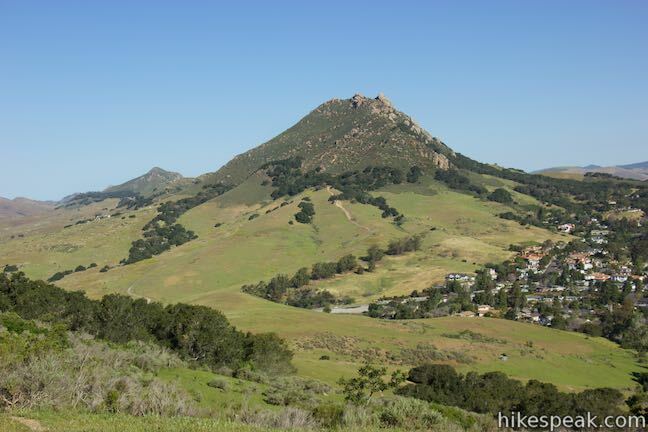 This 4-mile hike summits one of the Nine Sisters just west of downtown San Luis Obispo, delivering panoramic views. 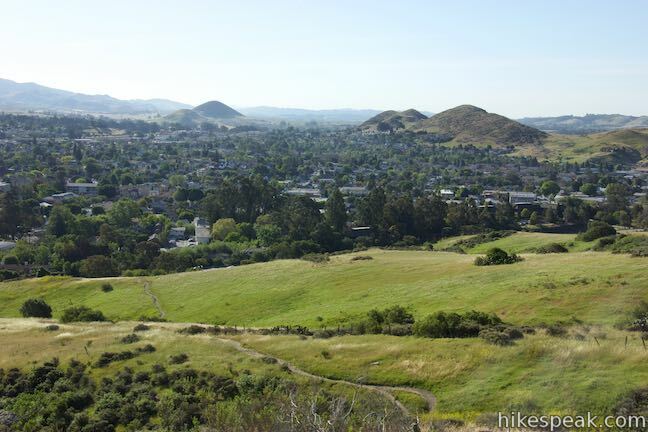 This 5.7-mile hike reaches the summit from a nearby park, enjoying even more San Luis Obispo views. 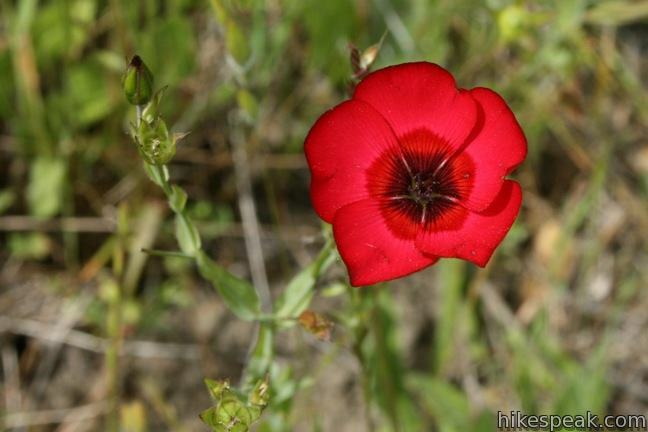 This extensions off the trail up Cerro San Luis makes its own 1.9-mile round trip hike to the large white "M" installed halfway up the east side of the mountain. 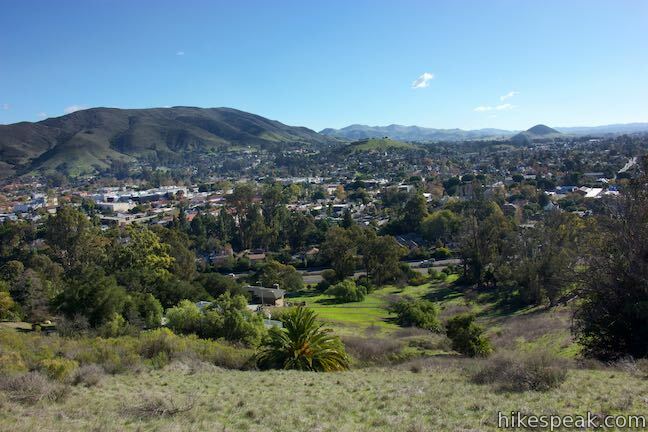 This 2.4-mile hike uses all of the "M" Trail and part of Lemon Grove Loop Trail for a scenic circuit on the east side of Cerro San Luis. 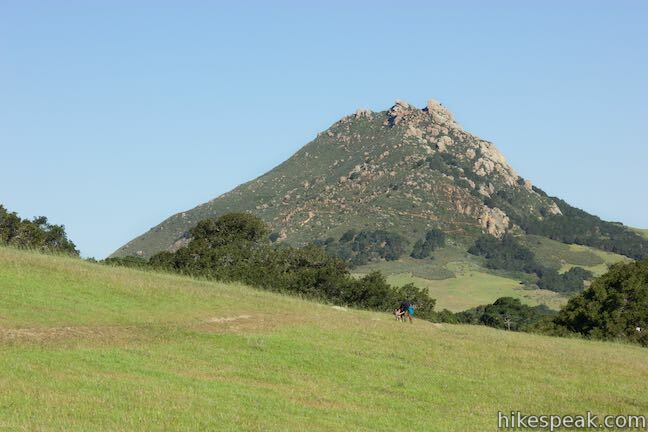 This 3.5-mile hike ascends 950 feet to highest summit in the Nine Sisters, offering excellent views of San Luis Obispo and the surrounding Morros. 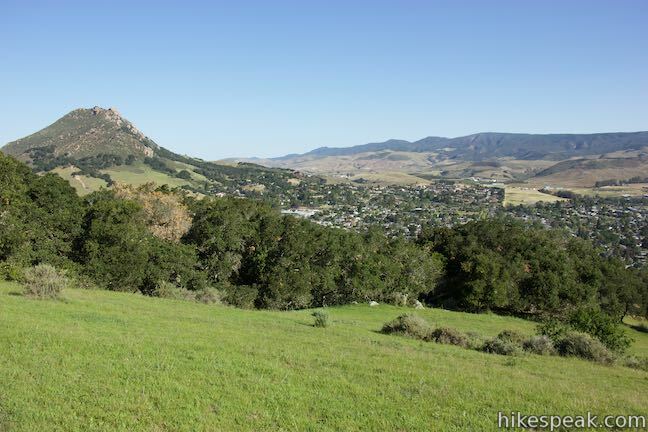 This 2.7-mile loop crosses oak, sagebrush, and grass-covered slopes around the base of Bishop Peak, providing excellent views of that notable rocky summit and its San Luis Obispo surroundings. 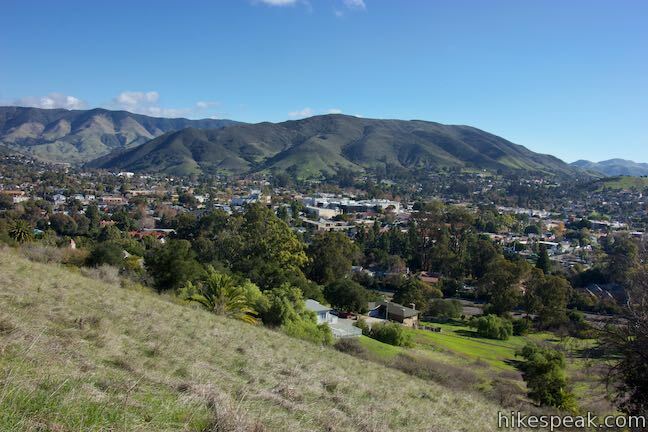 This 0.55-mile hike tours a flattened mountaintop in the city of San Luis Obispo that hosts panoramic views of the surroundings. 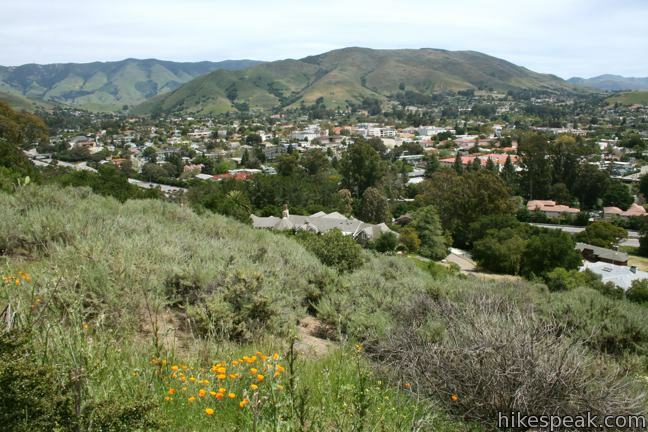 This 1.5-mile round trip hike ascends 425 feet to the highest point in a cluster of hills near downtown San Luis Obispo, offering fine views over the city and surroundings. 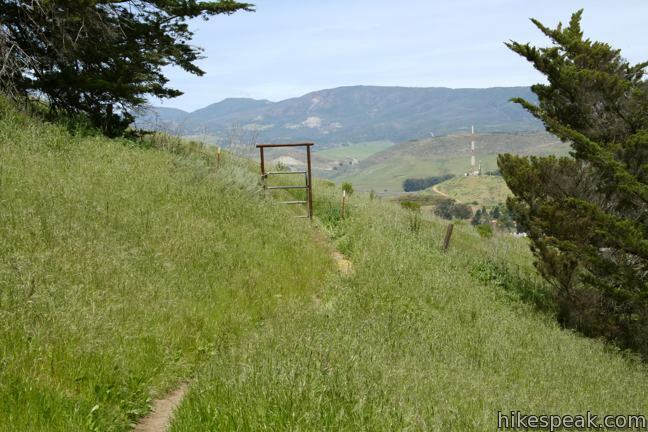 This 1.8-mile round trip hike climbs 550 feet to the top of San Luis Obispo's easternmost Morro. 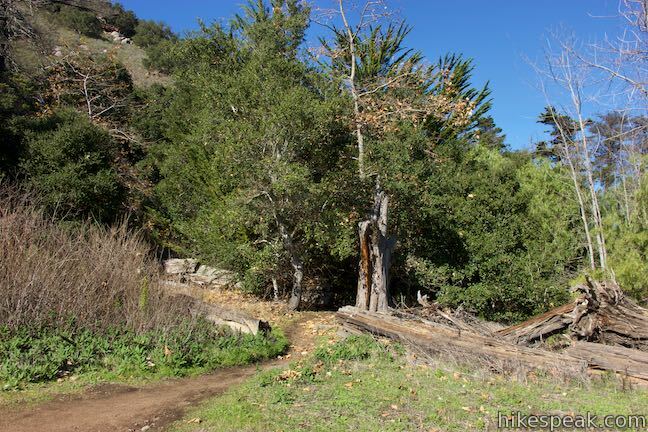 This 5.35-mile hike ascends 1,350 feet past a waterfall and a collection of junk sculptures on the way to a treeless summit overlooking San Luis Obispo. 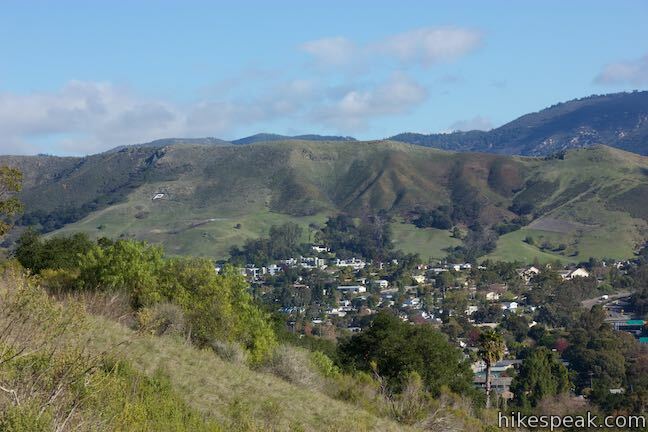 This 2.5-mile hike visits an experimental architectural village designed by Cal Poly students at the base of the Santa Lucia Mountains. 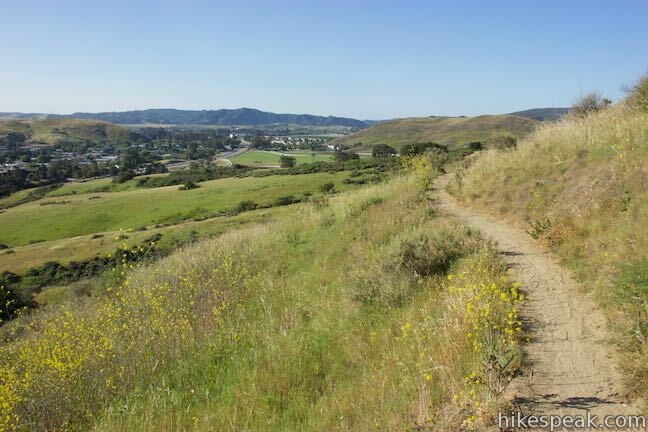 Explore other trails around San Luis Obispo including Morro Bay State Park and Montaña de Oro State Park. The Lemon Grove was recently replanted by Leadership SLO Class 22. Soon enough, that unimpressive grove will be filled with beautiful fruit. 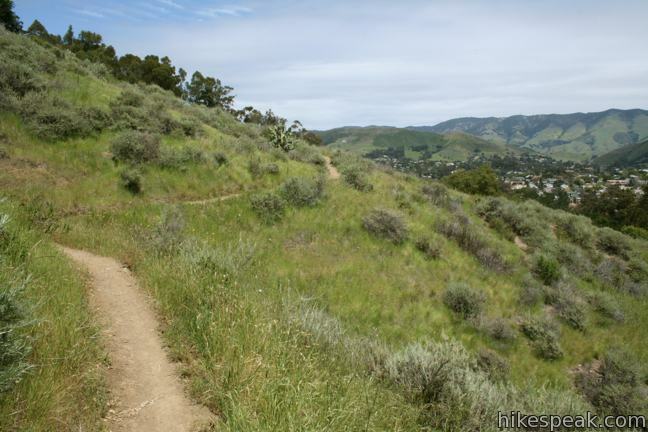 Very neat trail! 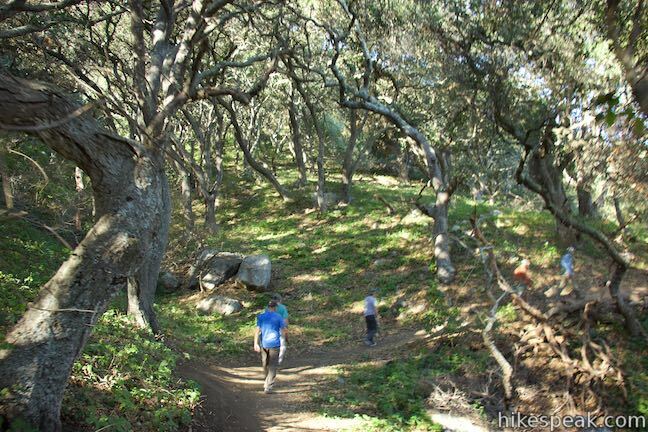 Love that it was built by Boy Scouts and AmeriCorp – they did a great job and it will please walkers, trail runners, and mountain bikers alike. 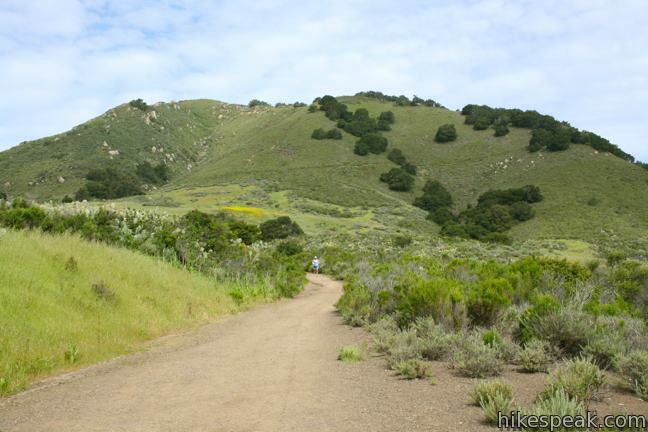 Please be sure to wear a bell if you’re out biking, so that hikers know to get out of your way. Very easy 2-miler that’ll get your heart going without wearing you out.